Although task-based sampling is, theoretically, a plausible approach to the assessment of nanoparticle exposure, few studies using this type of sampling have been published. 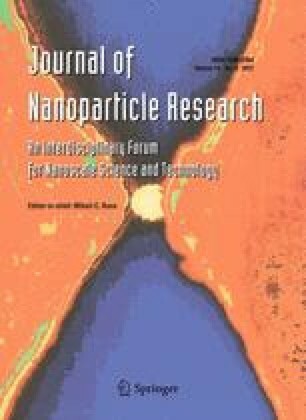 This study characterized and compared task-based nanoparticle exposure profiles for engineered nanoparticle manufacturing workplaces (ENMW) and workplaces that generated welding fumes containing incidental nanoparticles. Two ENMW and two welding workplaces were selected for exposure assessments. Real-time devices were utilized to characterize the concentration profiles and size distributions of airborne nanoparticles. Filter-based sampling was performed to measure time-weighted average (TWA) concentrations, and off-line analysis was performed using an electron microscope. Workplace tasks were recorded by researchers to determine the concentration profiles associated with particular tasks/events. This study demonstrated that exposure profiles differ greatly in terms of concentrations and size distributions according to the task performed. The size distributions recorded during tasks were different from both those recorded during periods with no activity and from the background. The airborne concentration profiles of the nanoparticles varied according to not only the type of workplace but also the concentration metrics. The concentrations measured by surface area and the number concentrations measured by condensation particle counter, particulate matter 1.0, and TWA mass concentrations all showed a similar pattern, whereas the number concentrations measured by scanning mobility particle sizer indicated that the welding fume concentrations at one of the welding workplaces were unexpectedly higher than were those at workplaces that were engineering nanoparticles. This study suggests that a task-based exposure assessment can provide useful information regarding the exposure profiles of nanoparticles and can therefore be used as an exposure assessment tool. This study was partially supported by the Korean Occupational Safety and Health Agency (No. 2010-78-895) and was partially supported by the National Institute of Environmental Research of Korea.